Saturday's dances where all a very high standard with even Ed Balls getting OMG from cranky Craig. Darcy Bussell even went on to say that Ed Balls' dance without fail will go down in Strictly history. Even with the lowest score Ed was saved from the deadly dance off once again by the voting public. 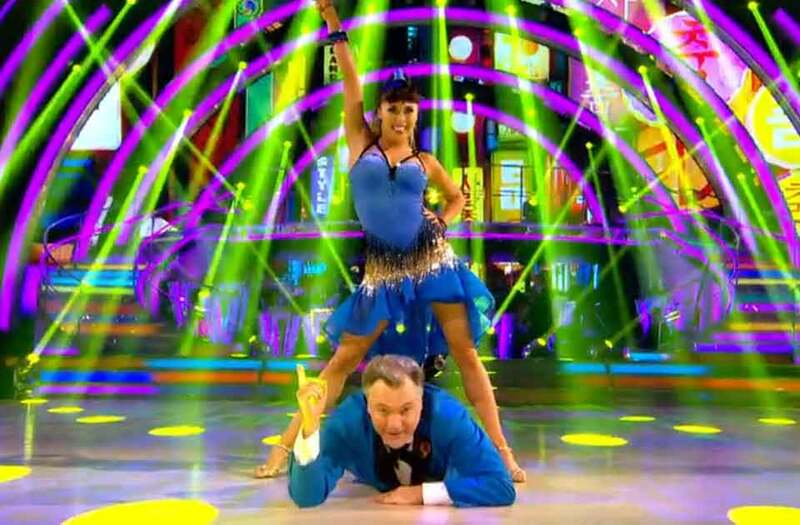 Their performance definitely one of the most entertaining of the night and probably this years Strictly. Dancing the Salsa to Gangnam Style in a cleverly choreographed routine most definitely won the audience that night with a deafening applause and standing ovation. There were some fabulous performances with no exemption Danny Mac's Argentinian Tango which Bruno loved, Craig thought amazing but too aggressive for him but Len didn't and thought it was brilliant. As Ed was saved there was a dance off from two good dancers. (Although Ed has improved you can't really call him a good dancer.) Daisy for the third time and Greg for the second found themselves in the dance off. Both danced better than before but Greg won 2 out of the 3 votes with Len casting the final deciding vote. Len said he had to go with his head not his heart and for the most polished and technical performance he plumed for Greg, who he said nailed it this time round.